Build a better gluten free zucchini pasta salad. Add eggplant, onion, feta, and gluten free penne for this grilled vegetable pasta salad. Put your grill to good use! This grilled vegetable pasta salad recipe is the perfect summertime dish. Starring the flavors and textures of feta, zucchini, red onion, red wine vinegar, oregano, and gluten free penne pasta, you and your party guests can't go wrong! More than just another eggplant pasta salad with feta, this recipe captures summer in every bite. Bring a large pot of water to boil. 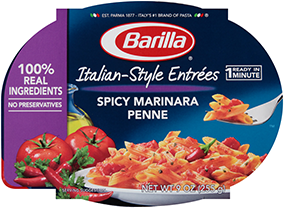 Cook gluten free penne pasta according to package directions. Drain penne, mix with grilled vegetables then top with feta cheese. Serve pasta salad immediately, do not chill.